The week it was! With some of the stunners making some rave appearances, there were bummers that had to be called out. Now celebs, it's a request to not take this 'bashing' very seriously for it's never personal. There are times when we praise you to the hilt and then there are days when we have to be fair and criticise your #OOTD and #OOTNs. That reminds us to point out where did Sonakshi Sinha, Richa Chadha, Shilpa Shetty and Swara Bhasker went wrong this time. Let's elaborate on it quickly. 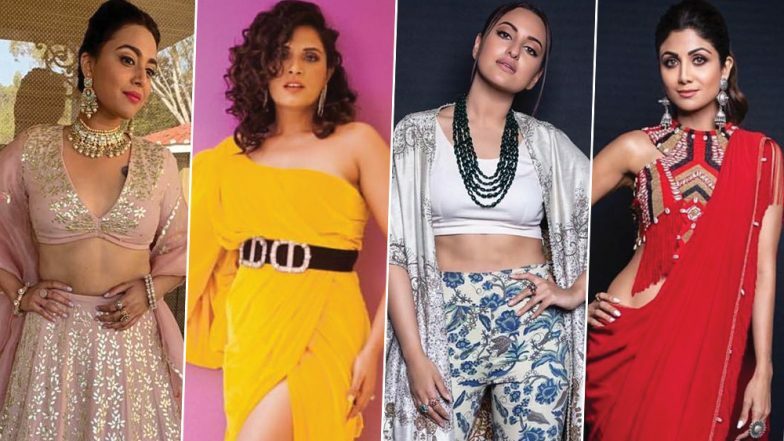 Alia Bhatt, Katrina Kaif, Sonam Kapoor, Ranveer Singh - Here Are All The Biggest Disappointing Fashion Stunts At The Filmfare 2019 Red Carpet! 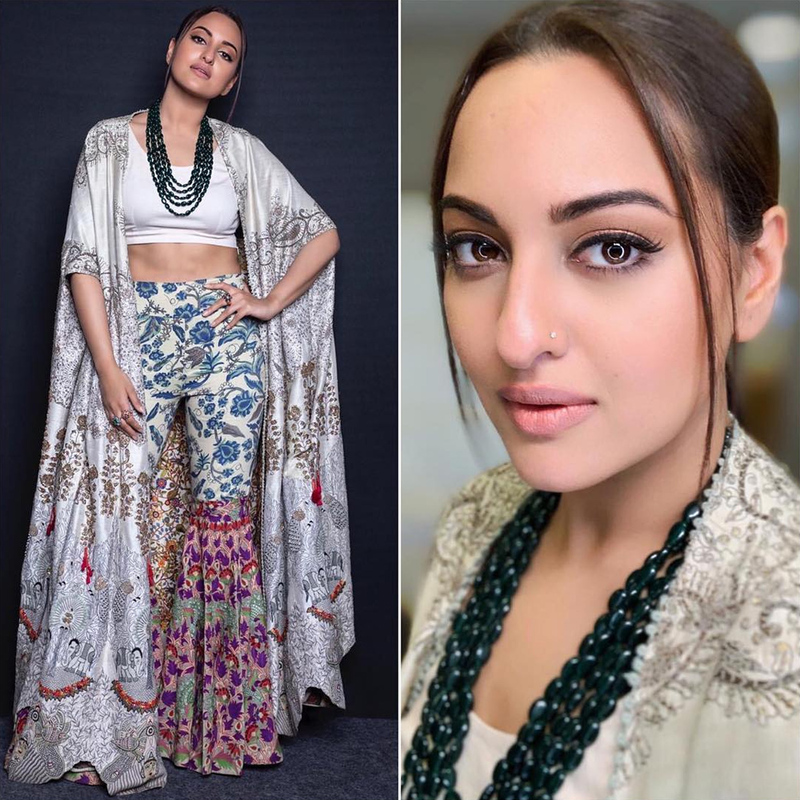 While Sonakshi's transformation from fit to fitter has been remarkable, we'd request her to flaunt that new figure more often. And definitely not cover it behind such robes. Yes, she did give us sneak peek of her toned abs yet, the Anamika Khanna attire was too much for one's eyes. We hope her styling improves for her next Kalank promotions. Kalank Promotions: From Hugs to Hand-in-Hand Moments, Varun Dhawan, Alia Bhatt and Sonakshi Sinha Are At Their Playful Best - See Pics! What year is this? The '60s? No? Well, then Richa Chadha is clearly taking us back in time and this time the reason is not good enough for it. What was she thinking while pairing her studded waist belt with that yellow gown? And why that choice of heels coupled with those messy curls? There was nothing flattering in her look and we believe she can do so much better. The blush pink lehenga choli is not a great bridesmaid outfit and this Veere knows better of it. She had a tasteful range of attires in Veere Di Wedding where coincidentally she played a bridesmaid and we expected so much from her. We have no qualms about her plain and basic Surily Goel saree but her blouse is a tad disappointment here. This tribal-inspired blouse is ruining the entire look for us and Shilpa could have corrected it. How? By not settling for it in the first place.